Look, but you won't find propellers on modern-day World Water Speed Record craft. The jet engine is the only viable means of propulsion for the very high speeds involved. Quicksilver has a very powerful engine. 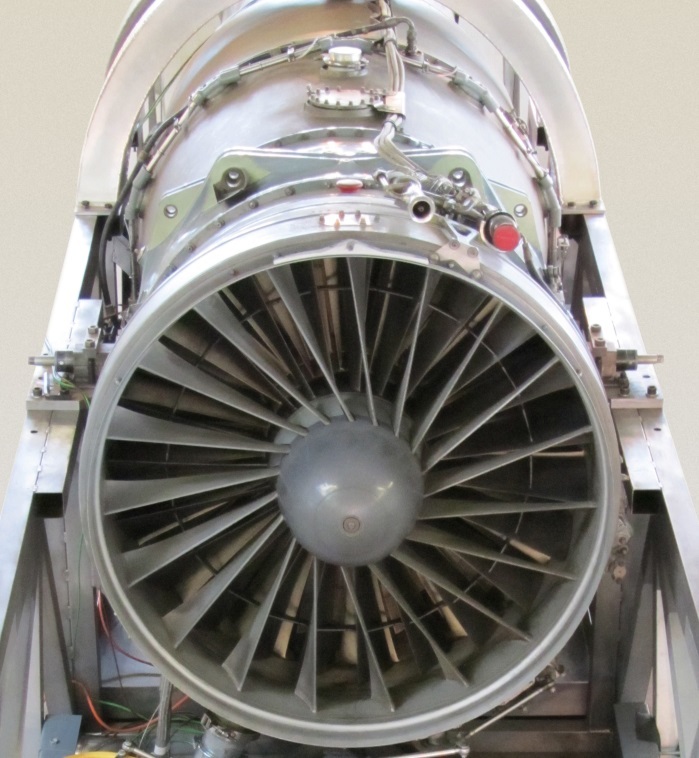 The 10,000 horsepower developed by its Rolls-Royce Spey Mk.101 turbofan comfortably exceeds that of ten Formula 1 racing-cars running together at full throttle. 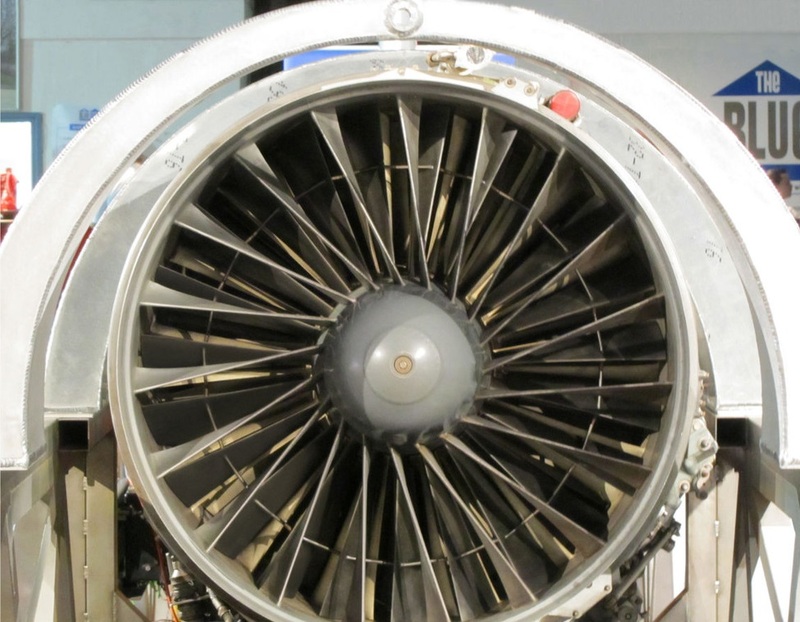 A jet engine works by harnessing the forces of nature. It draws air in through successive sets of rapidly rotating compressor blades, compacting it densely. Vapourised kerosene is injected into the compacted air, creating a combustible fuel/air mixture that is ignited, causing it to expand and accelerate with great force through a further series of spinning blades as it exits the exhaust nozzle in a continuous column of thrust. The sets of blades at the back are connected by a shaft to the sets of blades at the front, so the cycle is self-sustaining and the faster the engine goes the more thrust is created. Turbofan engines – as ours is – operate on the 'bypass' principle, which by comparison with a standard turbojet engine is more efficient and results in a superior thrust-to-weight ratio combined with better fuel economy. The Spey engine is shown here installed in Quicksilver's hull. The Rolls-Royce Spey has a long and distinguished history. Across a range of variants, it has powered a wide variety of ships and aircraft – as well as the world's fastest car, Britain's supersonic ThrustSSC. Diversity of use and longevity of service are hallmarks of a true classic. A remarkable and versatile engine. With a rated static thrust of 11,030 pounds (5,008 kilograms) at 12,900 rpm, the Mk.101-variant Spey originally powered the Hawker Siddeley Buccaneer bomber aircraft. We have written a new chapter in the Rolls-Royce Spey story, taking the engine as fitted to the Buccaneer and adapting it to our own very specific high-speed marine application. Did you know that we operated a Buccaneer aircraft of our own as an engine testbed?